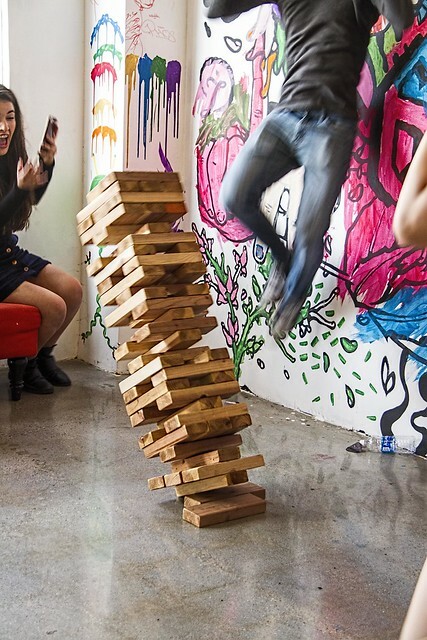 Evidently giant Jenga is a "thing." 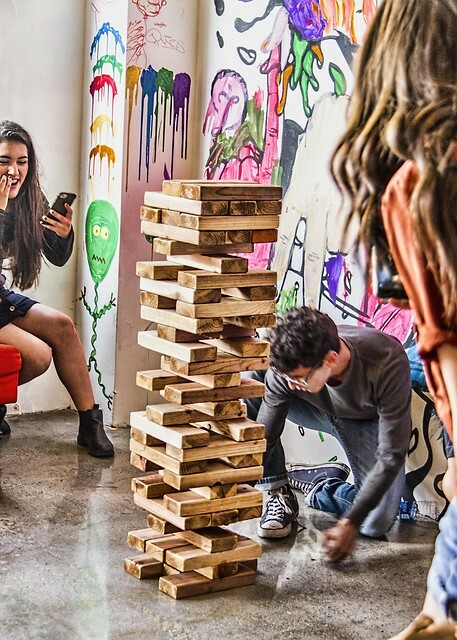 And, in addition to the pumpkin carving this weekend at the Stay Gallery, there was also a wild game of giant Jenga going on. He oh-so-carefully pulled out one of the wooden pieces...but he was not careful enough and the tower collapsed. I have to admit, I was impressed at how quickly he jumped up and out of the way! This might be a game I need to buy. "We don't stop playing because we grow old, we grow old because we stop playing!"